If your boiler is on it’s way out, or if it’s already broken down, the last thing you want to do is waste time shopping for boilers, before you know which type of boiler you need. Conventional, system and combination boilers can all be good options for a property, depending on your personal requirements. So choosing the right type of boiler for your home is important. 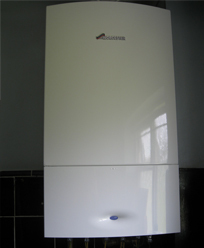 Here at Charter Heating, we are leading boiler and gas experts. And we have produced this guide to which type of boiler do you need? These boilers are designed slightly differently, so some will suit your home, and lifestyle, more than others. Designed with two water tanks; a hot water cylinder, and a cold water storage tank. This is in addition to the boiler itself. With more storage, you can provide multiple rooms with hot water at the same time. And you will get really good water-pressure. However, installation can take longer and be messier, because of the need to install so many pipes leading throughout your home. If you already have a conventional boiler, this will be much easier though. This boiler uses no tanks at all. The heating element is inside the boiler, to heat water as it enters from the mains, before being delivered round the central heating system, or hot water system. This means that this is the perfect boiler for smaller homes, where storage is an issue. The water-pressure will also generally be better than any other boiler option, because the water is delivered straight from the mains. However, you will not be able to heat more than one tap at a time, without experiencing a drop in water pressure, and possibly temperature. In the middle of these two options is the system boiler. A system boiler requires one hot water storage cylinder, but all of the major heating and hot water components are built into the boiler itself. So it is easier to install than a conventional boiler. And because of the cylinder, you can be sure of providing water to multiple taps at the same time. So, which type of boiler do you need? Deciding the answer to this might not be straightforward. So for more information or advice, get in touch with our team today, here at Charter Heating.